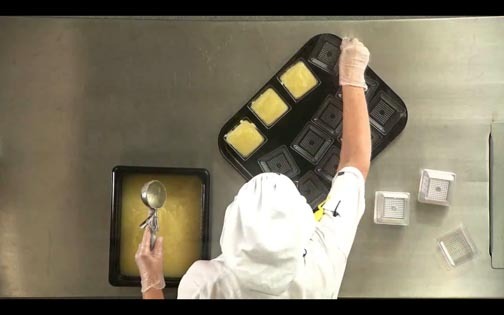 These two videos are embedded from a Facebook post. 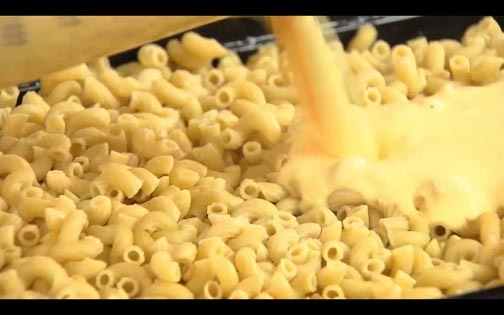 Any content you see in each portal after each of these videos concludes may not reflect our views. 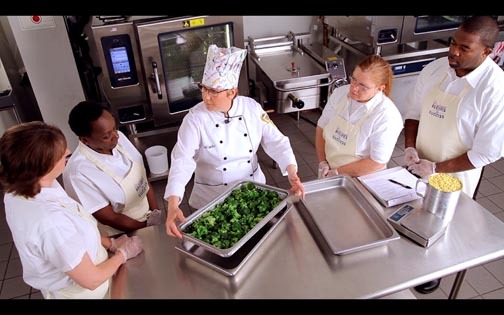 Behind the scene tour for the NC K-12 Culinary Institute at Franklinton High School. 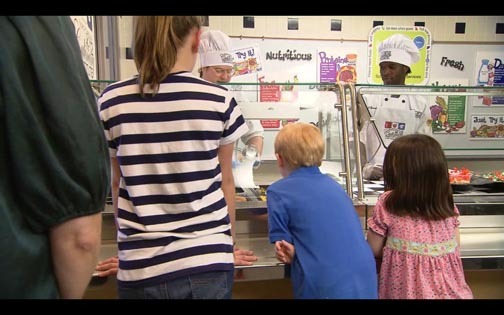 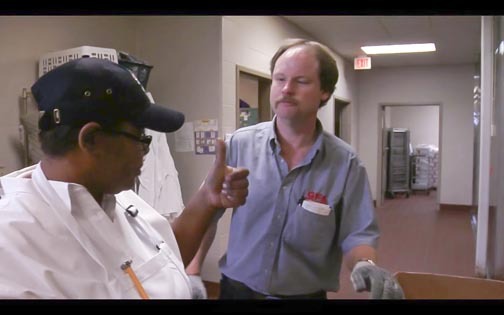 Interview--Behind the scenes at the NC K12 Culinary Institute! 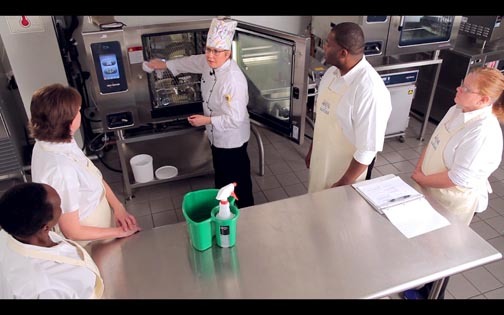 Behind the scenes at the NC K12 Culinary Institute! 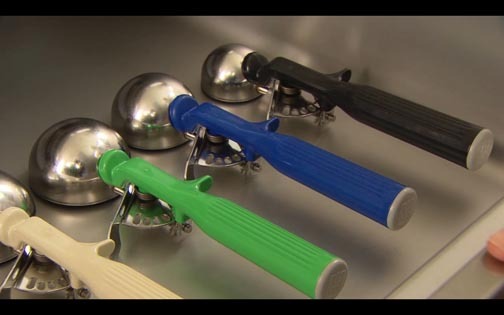 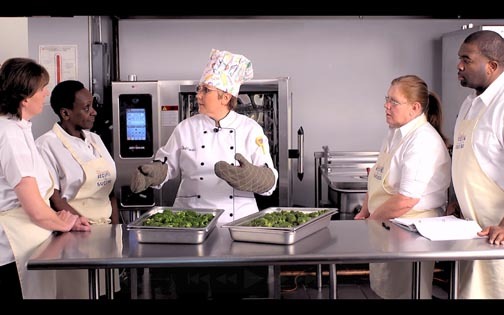 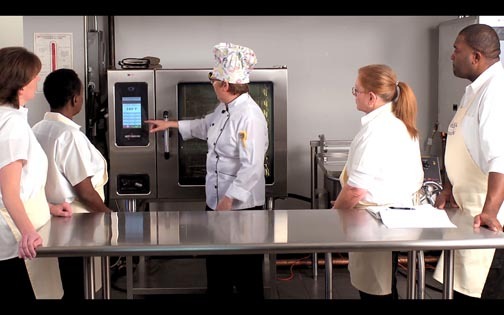 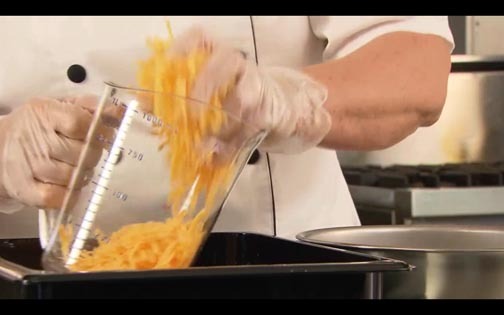 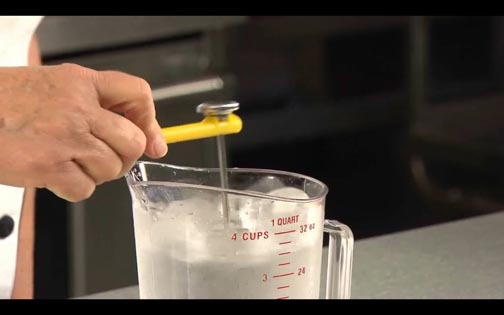 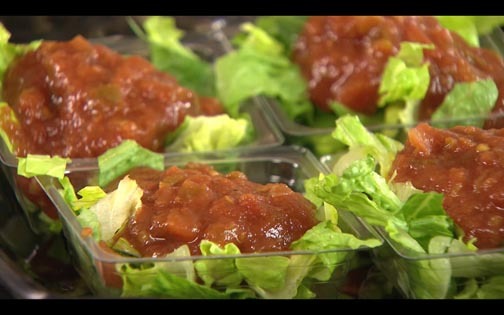 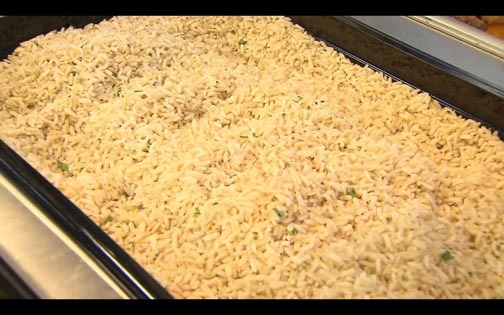 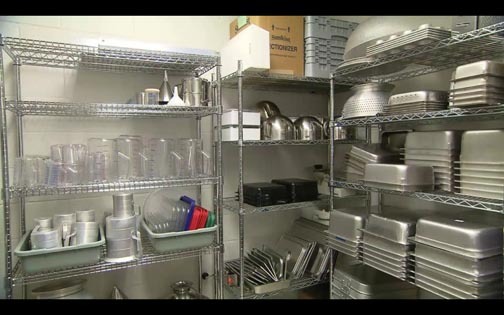 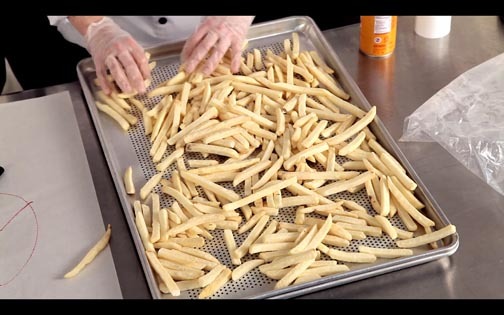 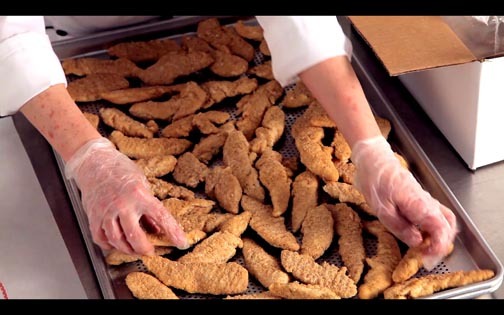 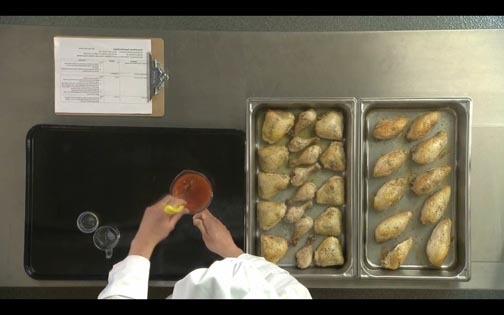 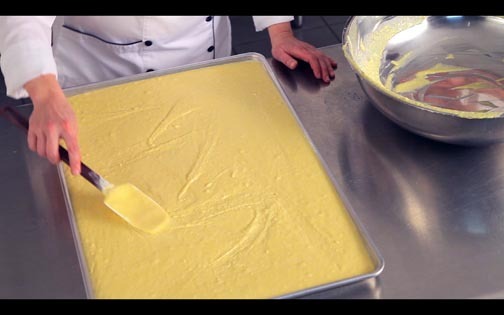 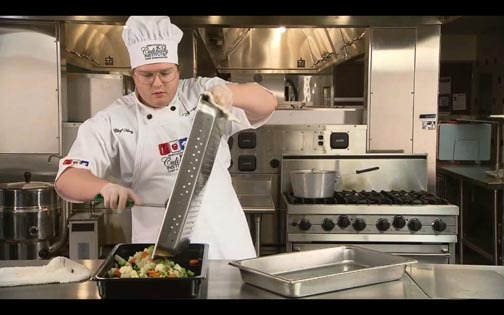 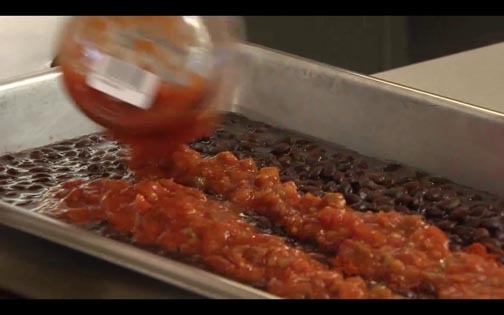 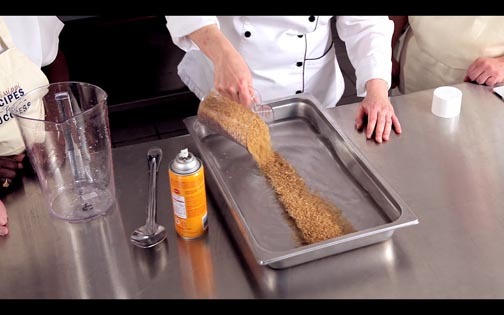 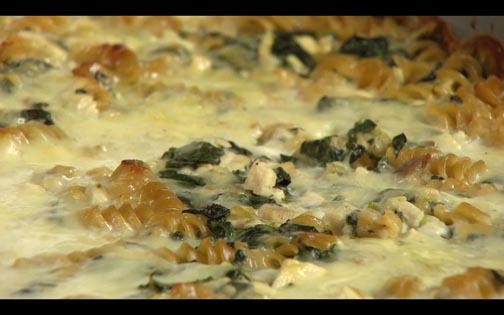 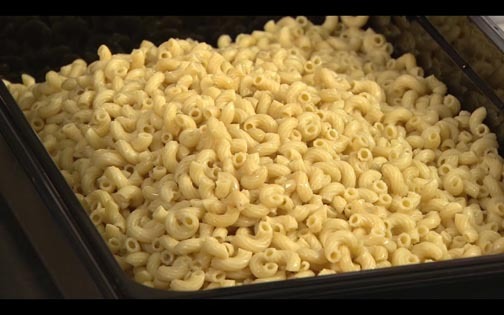 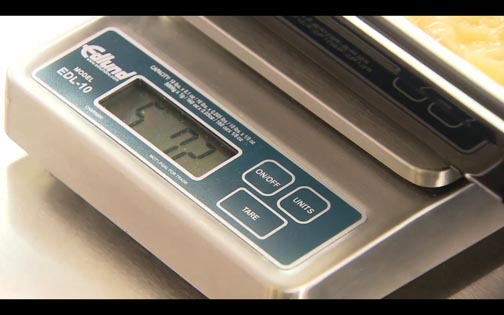 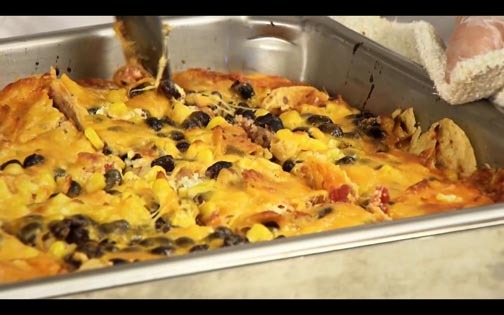 These training videos sample correct and incorrect ways to prepare, serve, receive, and store foods for large kitchens. 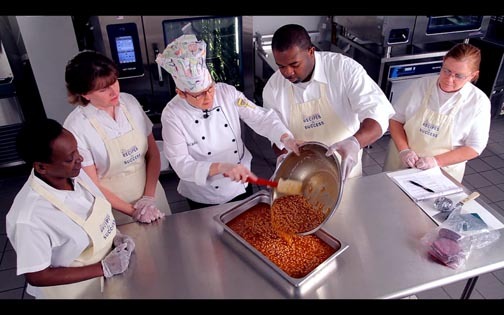 There are also two at the end concerning personnel management. 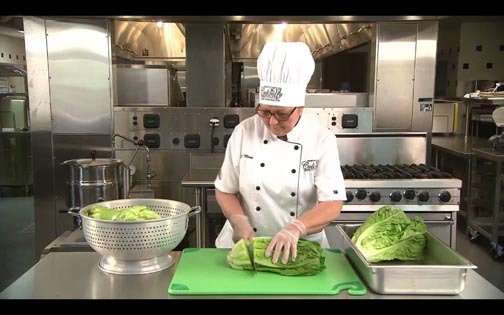 A training video showing good practices in preparing produce and other foods the right way. 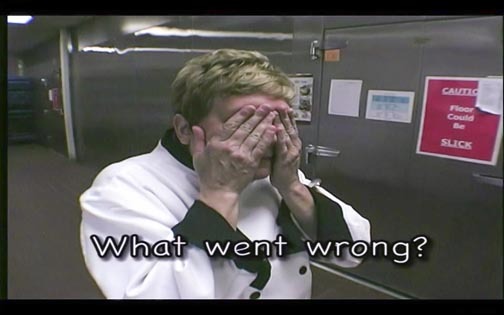 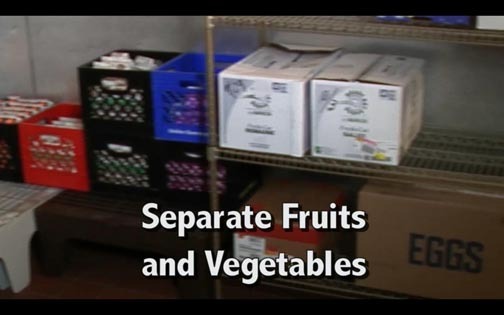 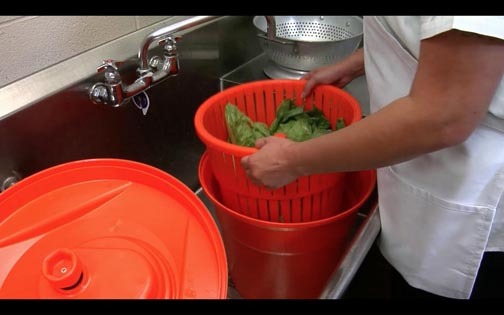 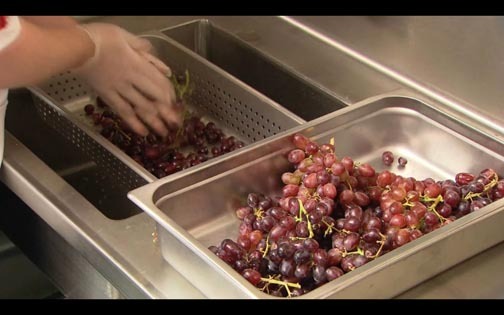 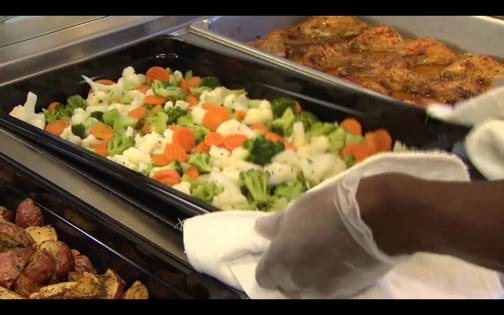 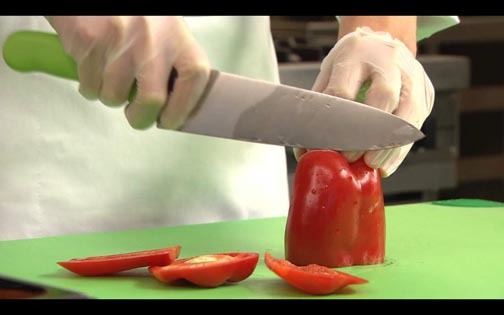 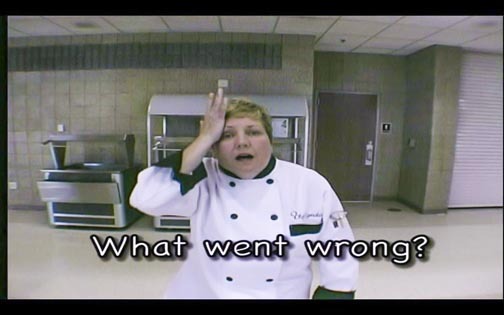 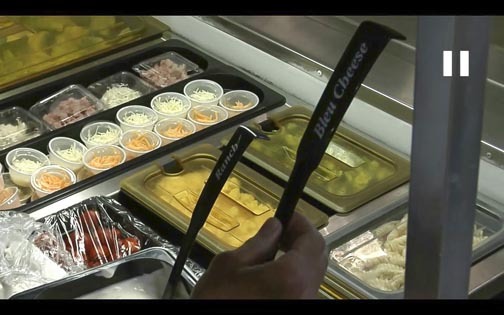 A training video showing improper practices in preparing produce and other foods the wrong way. 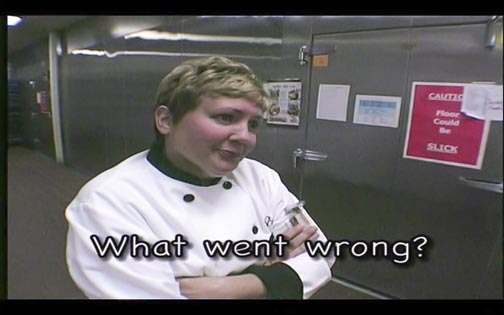 These videos are embedded from YouTube. 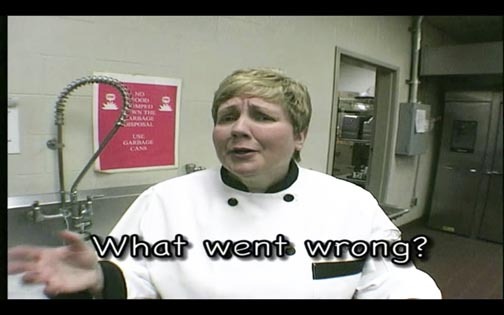 Any content you see in each portal after the video concludes may not reflect our views. 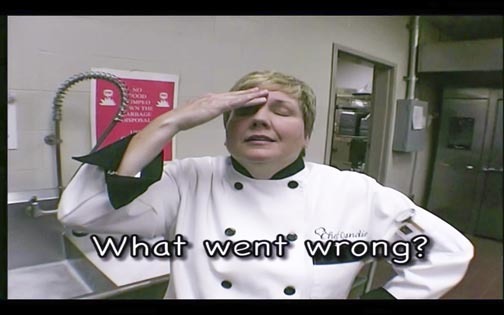 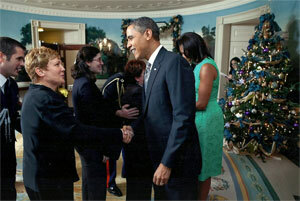 Chef Cyndie has written, produced, and provided on-screen talent for training videos.